Co-creators John Arcudi (writer of BPRD, Savage Wolverine, A god Somewhere and the Eisner nominated The Creep) and comics rock-star James Harren (Artist on Conan, BPRD, and cover artist for the Hawkeye vs. Deadpool mini series) have come together on a project that is both quite literally of epic proportions and completely “street-level-human” in its themes in RUMBLE. Both bizarre as hell and familiar as life, the new ongoing series comes to Image Comics in December of 2014. And RUMBLE is a strange book, that’s for sure—like a scarecrow-Conan fighting in a Louis C.K. TV show directed by David Fincher—with a supporting cast of odd characters, many of whom aren’t even human. 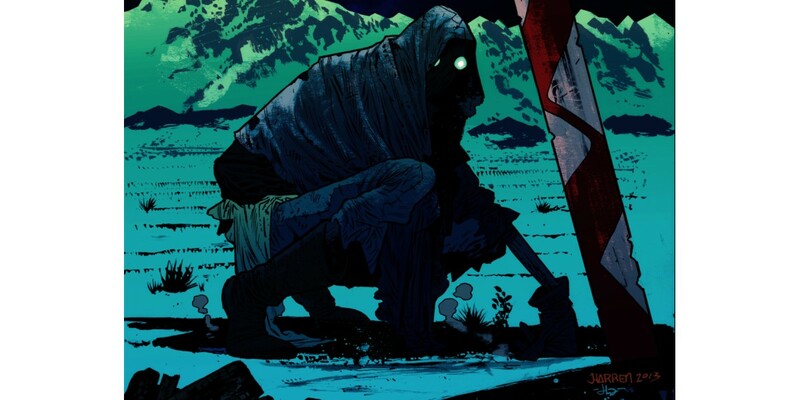 RUMBLE is a bizarre action/adventure urban-fantasy horror story—with a dash of humor at times. Coming to Image Comics this December.